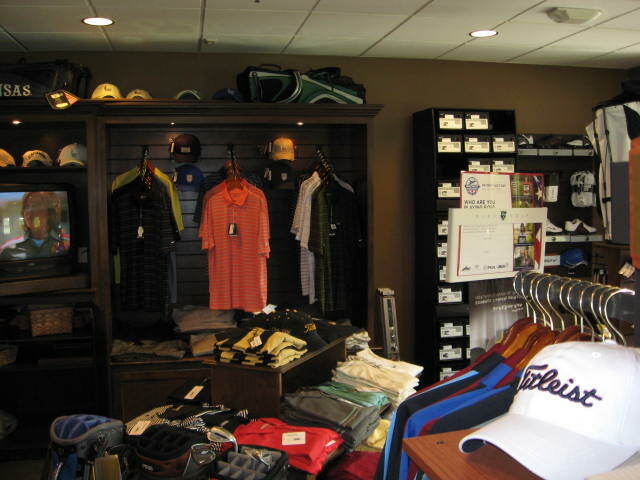 Drumm Farm Golf Club offers a full service golf shop featuring a wide variety of essential golf products. Whether your needs are the latest in fashion or the newest in golf technology we have it covered. Our vendors include: Nike, Titleist, Under Armour, Greg Norman, Gear for Sports, Cutter & Buck, Imperial, Foot-Joy, and Ping. Additionally we have great gift ideas for the golfer in your family including towels, divot tools, golf bags, bag tags, and umbrellas. We are proud to offer all of these great products along with the courteous service from our staff of PGA Professionals. Please stop by the golf shop today, and see for yourself what Drumm Farm Golf Club has to offer. Gift Certificates, Apparel, and More!